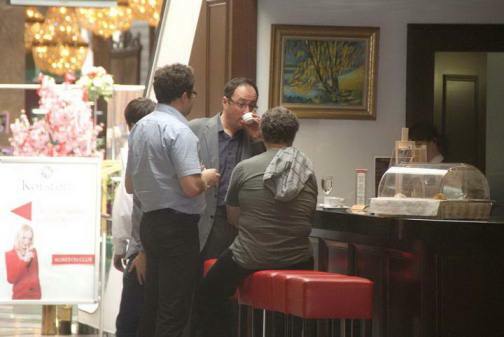 Boris Gelfand: The line seen today was well-known to me. It was played a lot at the last Olympiad in Khanty-Mansiysk, and Black won some beautiful games there. After the Olympiad, I sat down with Maxim Rodshtein one day to study that variation, and Sasha [Alexander] Huzman was with us as well. I remember 11…Bg4 was a cunning idea to tempt the pawn to h3. It seems absurd, but in some lines you win a tempo with Qc8. We managed to think up the antidote 13. b3. That’s not thought to give you much in the given system, as Black can open the a-file. But as h2-h3 has already been played the bishop on e6 ends up cut-off, and Black has some trouble with counterplay. It seems to me Alexander chose the most ambitious plan – Ra5-h5, in order to switch onto the counterattack. If you play passively then Black will simply run out of moves. I think we’d looked at the idea somewhere in our analysis – playing Nh4 and f4, limiting my opponent’s options, after which Black has no play and the rook’s stuck. I think Alexander’s 21…Nd5 was very strong, but of course I wasn’t going to take the exchange. Nevertheless, it seems to me that if Black played 23…f5 instead of 23…Rb5 then I’m not even sure if White would have been better or not – it’s a very complex position. I have to play 24. h5 and go for an attack. Of course I’ll never take the rook on d5. While after 23…Rb5 the pawns started to move and I think White already has an enormous advantage in that position. Alexander Grischuk: I can say that it’s in no way embarrassing to lose a game like the one today: Boris played absolutely magnificently! The only thing was that I got a little caught out in the opening: perhaps I forgot what to do after 13. b3, but I don’t think we’d looked at that move. After that I immediately realised that Black had a very unpleasant position. Black developed his pieces actively, but afterwards there was nowhere to display that activity, and the position might collapse if you blew on it. In principle, I was glad to find the Ra5-h5 manoeuvre. The only problem was that I slightly overestimated my position: I thought that everything was ok, and at a certain point I even offered a draw – apparently when the position was already lost. That’s a little embarrassing, but I simply didn’t realise and thought the position was completely unclear. 23…f5 was probably better, although after 24. h5 I didn’t like my position. White will first attack, then exchange queens, then bam! – Bxd5, and he’s got an endgame an exchange up. Therefore I went for 23…Rb5 and thought that after 24. e4 I’d play 24…Bxb3, then Na5 and Bc4, with completely unclear play. But 24. Qe2 strikes me as a very strong move, after which absolutely everything in my position is disorganised, and the king’s weak. It’s not just that the bishop and knight don’t become active, you have to think how not to lose them. I think it was a super game by White, and I congratulate Boris wholeheartedly! Borya, what do you think about the match against Anand? I haven’t thought about it… Anand’s dream has come true: in the World Championship match he’ll be younger than the challenger. He’d been dreaming about that and had already lost all hope, but now his dream’s come true. It’ll be very interesting to play Anand… how many? twelve games? I think that’s as many as I’ve played against him in the last 15 years, if not more. Let me see… Until 1993 it was +5 in my favour. From 93 to 97 it was +5 in his favour. And then he’s won one or two games, while the rest have been draws. Can you say a little about what each member of your team contributed to your victory? 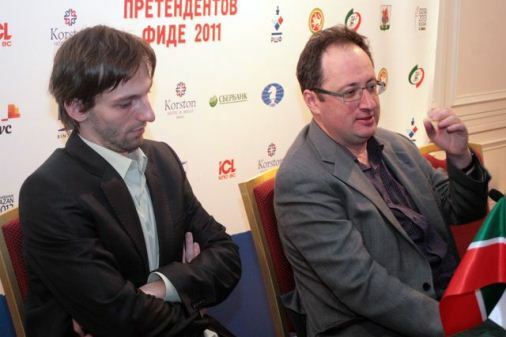 During this match and others there were opinions about the worrying state of classical chess. Three decisive games out of thirty, it seems. What do you think about that? Well, all the players here were strong and it was hard to win. 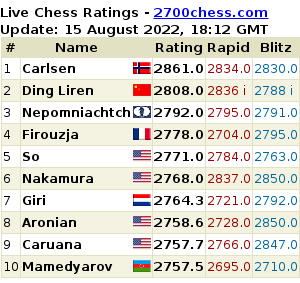 For example, Alexander saved difficult positions against Aronian and Kramnik, while players of a lower level wouldn’t have saved them, and you’d have had more decisive games. You can’t criticise the participants for saving tough positions when that actually bears witness to their mastery. And overall, it strikes me that it’s not important what the result is. The main thing is that the games were interesting. I played 14 games and, all things considered, at least ten of them were very interesting. The draw percentage was high, but to talk about a crisis… Again, it’s like in football: you see that when strong teams play you don’t get a lot of goalmouth action, but when teams in the second league play you can get 5:3 scores, or even more. I was greeted well, but I have to say I was probably the only candidate out of the eight whose national federation didn’t help him at all. In Israel no-one gets the idea of a professional chess player needing support. Perhaps the situation will change now, but it’s also seemed that way on previous occasions. So far there haven’t been any changes for the better. There have been changes for the better in implementing the “Chess in Schools” program. There’s progress there, and Kirsan Ilyumzhinov visited… But I was busy preparing for the matches and don’t know all the details. And would you agree to play the match in India or would you like to play in Europe? I don’t get involved in looking for sponsors. There’s an organisation and people responsible for that who’ll look. It doesn’t matter to you where you play? Why do you say that? Of course it would be better if it was a more familiar climate. 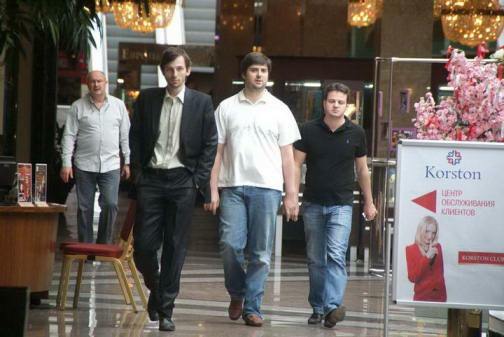 I’ve already played two matches in India – in 1994 and 95, against Kramnik and Karpov. I played well in one and badly in the other… Garry Kimovich [Kasparov] always thought that strong players should also be organisers, and look for sponsors, but I think I should sit, prepare and play chess, and the appropriate people should look for sponsors and organise tournaments. If they do that badly then it’s my business to point that out to them. I think there are people who get paid for doing that job, so they should handle it. During the event there were heated discussions on the internet [in Russian mainly on this thread at the ChessPro forum] about how to increase the number of decisive games. There was a suggestion of running the tie-breaks like qualifying in Formula 1, before the main games, or there was another suggestion: holding a tie-break after each drawn game. What do you think about those suggestions? end of a great month’s work…. wish u a good rest. thank you !! 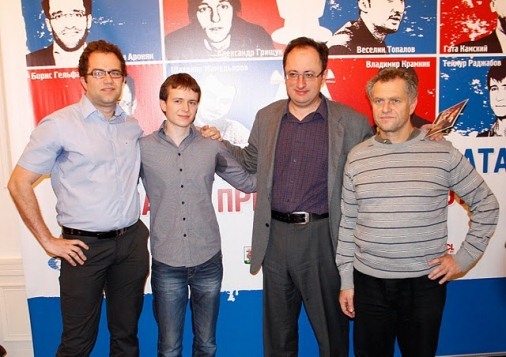 Congratulations to Boris Gelfand for a well deserved win! Thank you once again, mishanp, for bringing these to us! Congrats Boris!! But you should know you weren’t the only one of the 8 whose federation did not help at all. USA helped Kamsky zilched nada zero not a tiny bit.